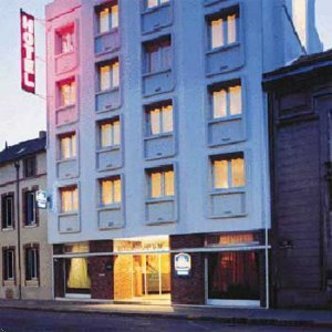 The Best Western Hotel de Champagne is a medium-sized, comfortable hotel situated in the heart of Epernay, the capital of Champagne, on a quiet street. Our lounge is a very pleasant area where you can taste and enjoy a glass of champagne. Our rooms have cable television, dataports, coffee maker, hairdryer, mini-bar and room service, air conditioned.